The Lonestar Select Grill Cart that runs on Natural Gas is part of a collection of Lonestar Select grills by Bull Grill. 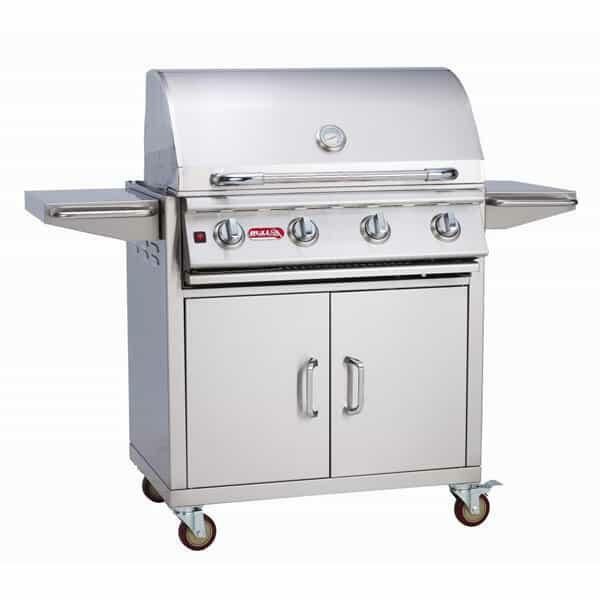 The Lonestar Select series features high quality stainless steel grills that offer a huge amount of cooking space and BTU heat to help you to deliver the best grill, sear, and cook of your life- every time. The Lonestar Select Cart sits on 4 cast wheels so that it moves when necessary, then stops and locks when it’s time to get down to business. The Lonestar Select helps you to act as a Lonestar renegade cook. Paying no mind to either daytime or night, because long after nightfall, you’re free to fire up your grill and deliver a perfect medium-rare steak. The inner-mounted lights installed on the Lonestar Select Cart will guide you! Bull Grills is one of the biggest names in grilling because their masterpiece grills are a triple threat. They are attractive and fashion-forward. They are easy to handle and reliable. And, most importantly, they operate at peak performance long past their competitors. Benefit today!